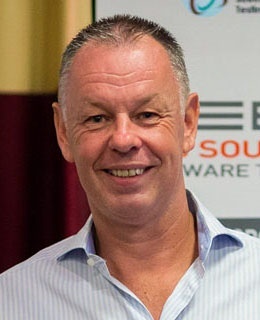 Erik van Veenendaal is a leading international consultant and trainer, and a recognized expert in the area of software testing and requirement engineering. He is the author of a number of books and papers within the profession, one of the core developers of the TMap testing methodology, a participant in working parties of the International Requirements Engineering Board (IREB), and currently a board member of the TMMi Foundation. Erik is a frequent keynote and tutorial speaker at international testing and quality conferences. For his major contribution to the field of testing, Erik received the European Testing Excellence Award (2007) and the ISTQB International Testing Excellence Award (2015). You can follow Erik on twitter via @ErikvVeenendaal. Most projects, being either sequential or iterative (Agile), implicitly use some kind of risk-based approach for prioritizing testing activities. Critical testing decisions should be based on a thorough product risk assessment process with key business drivers as the foundation. PRISMA (PRoduct RISk MAnagement), a practical method for performing systematic product risk assessments, is presented. During this 1 day practical course, it is explained how to carry out risk identification and analysis, and how to use the outcome to select the most appropriate test approach to mitigate the risk. Learn how to apply risk-based testing in both traditional and Agile projects, including how to create an Agile sprint “test plan”. Practical experiences are shared, problems overcome and results observed employing product risk assessments. Learn how to set testing priorities and optimize your test effort by including product risk assessment in your testing practices. Develop a practical approach to inform project stakeholders about important testing decisions and provide clear visibility on product risk status. Attendees to the course "Practical Risk-Based Testing" will receive a complimentary copy of the book "Practical Risk-Based Testing - The PRISMA Approach" written by Erik van Veenendaal. They will also be provided with a free copy of the PRISMA risk-assessment tool. All prices are exclusive VAT ! ATTENTION: Limited number of seats available for the selected course!